Camping and a motorbike in Dordogne are a perfect match! Relaxing and active at the water's edge, offers and availability to go camping in Brantome. 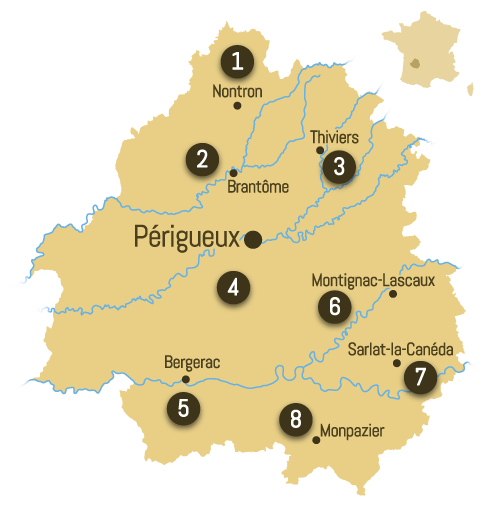 Campsites in the Périgord Vert and the Auvézère valley. Holidays 100% nature.